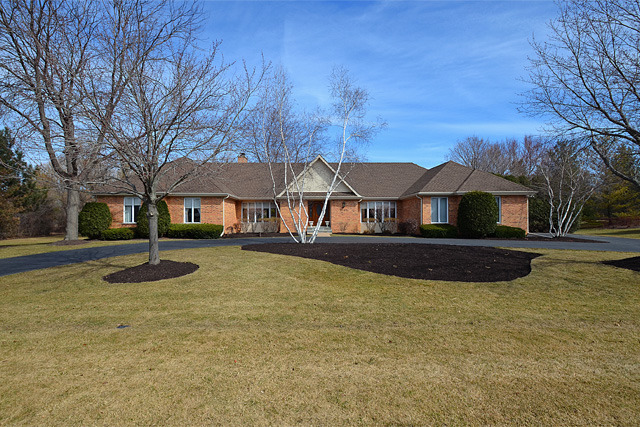 Rarely do you find a rambling ranch with great curb appeal & an open floorplan all in a desirable Inverness location! Step thru the front door & you will see the impressive great rm, adjacent updated island kit w/eating area & walkin pantry, formal LR & DR, 4 bedrms on the main level, & open staircase to the huge lookout lower level w/rec rm, sauna & bath. Volume ceilings, Hardwd flrs, newer roof, master bath & more.